Now that Thanksgiving is over and we are in the month of December, I can officially start celebrating all things Christmas! It really is the most wonderful time of the year! My weekends in December are usually pretty consistent each year as I have certain traditions that I love to do each season. This weekend is one of those and I will be going to the Purdue Christmas Show which is one my favorite events of the season! 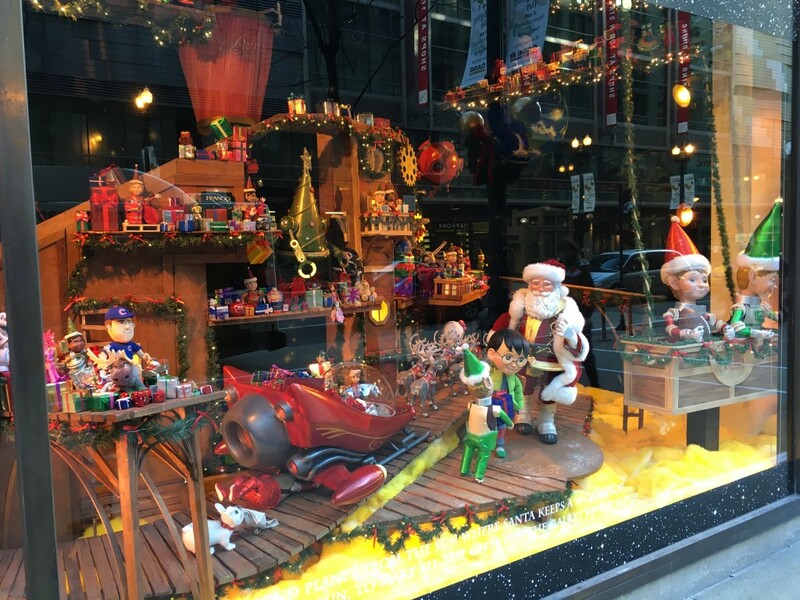 A couple of weeks ago I shared with you some free holiday events taking place in November so today I am sharing with you the best of Chicago Christmas in December! 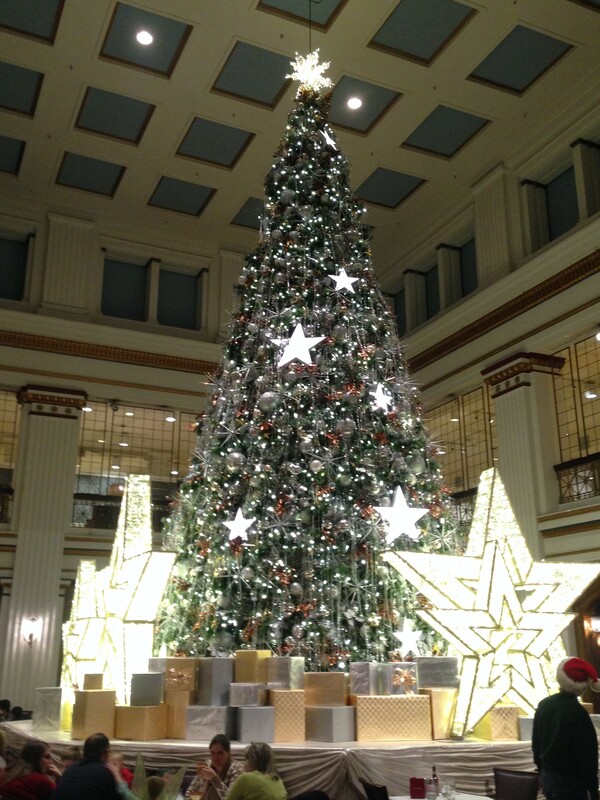 The Walnut Room/Great Tree: Another thing to do while you’re at Macy’s is ride the escalators up to the 7th floor and dine at The Walnut Room. 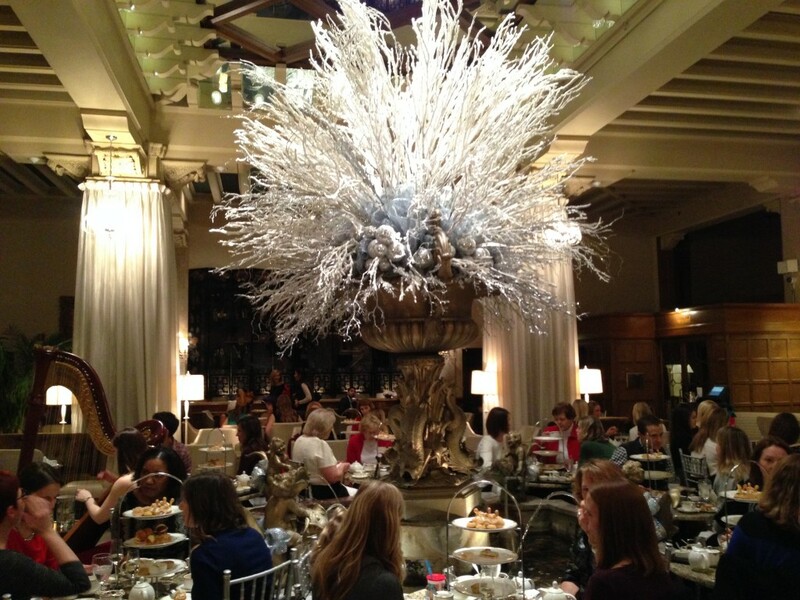 The Walnut Room has been a Chicago tradition since 1907 and is the first restaurant ever to open in a department store. The waits are always pretty long to eat here so if you don’t have time to wait, you can still go see the Great Tree located in the center of the restaurant. 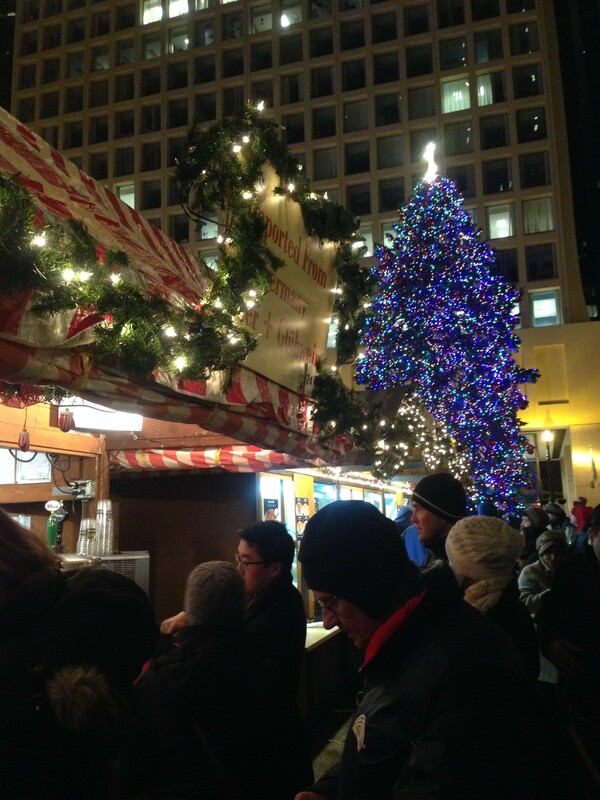 The tree will be up from November 5 – December 31, 2015. 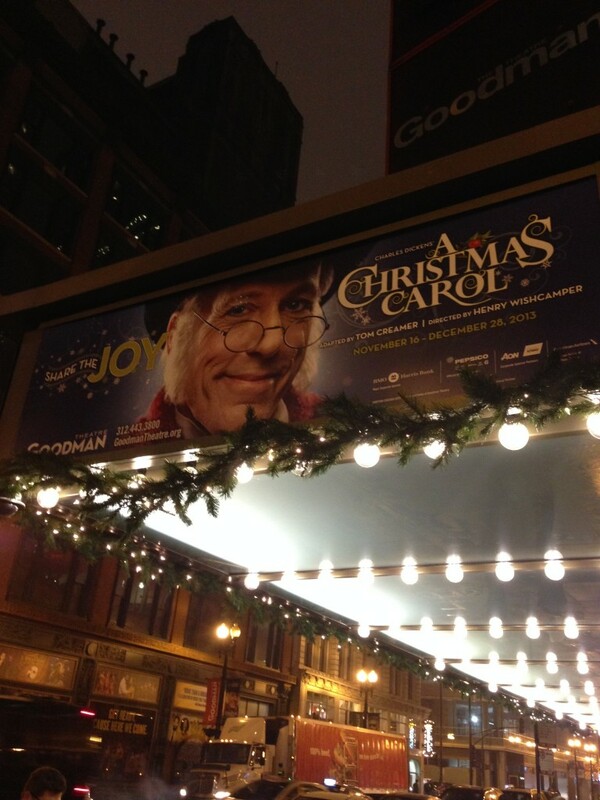 A Christmas Carol: Each year The Goodman Theatre puts on a production of A Christmas Carol. This is a fun tradition to do each year and is located just a couple of blocks from Macy’s so you could even have dinner at The Walnut Room beforehand. The show will run from November 14 – December 27, 2015. Home Alone with the Chicago Symphony Orchestra: This is a new event this year in honor of the 25th anniversary of Home Alone. The movie will be shown while the Chicago Symphony Orchestra performs the music live. 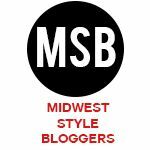 This show will run December 11-13, 2015. Recognize this house? 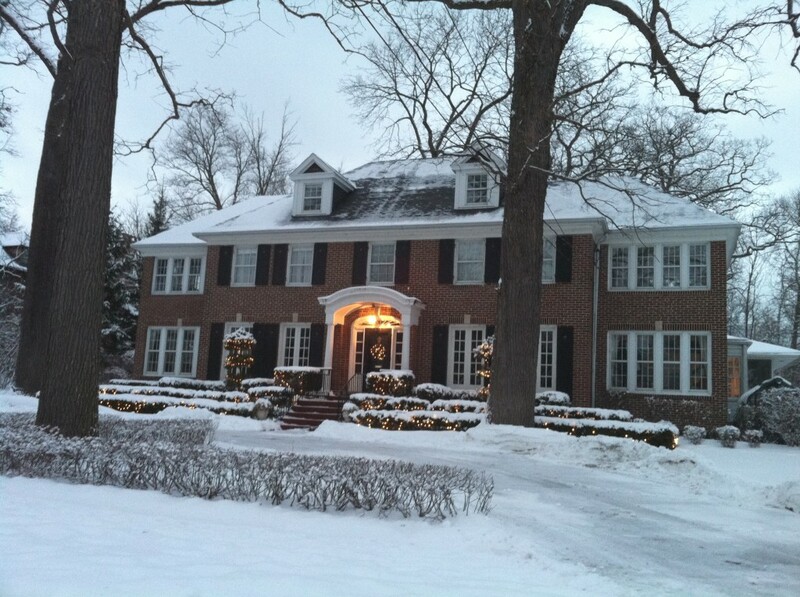 You can see the McCallister home in person by taking a quick drive north to Winnetka. 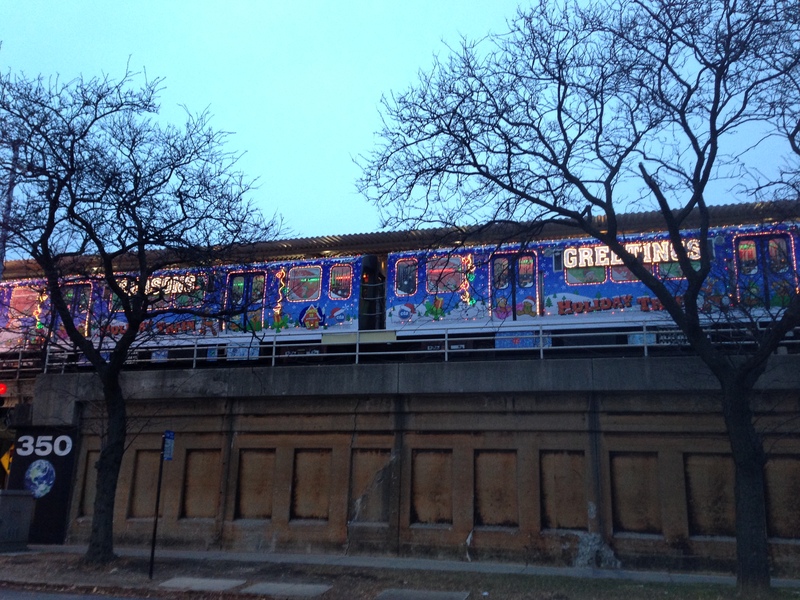 Ride the CTA Holiday Train: Every year the CTA decorates different trains with thousands of lights and other decorations while Santa and his elves ride the train passing out candy canes! For only $2.25 per ride, this is a fun way to get in the holiday spirit! 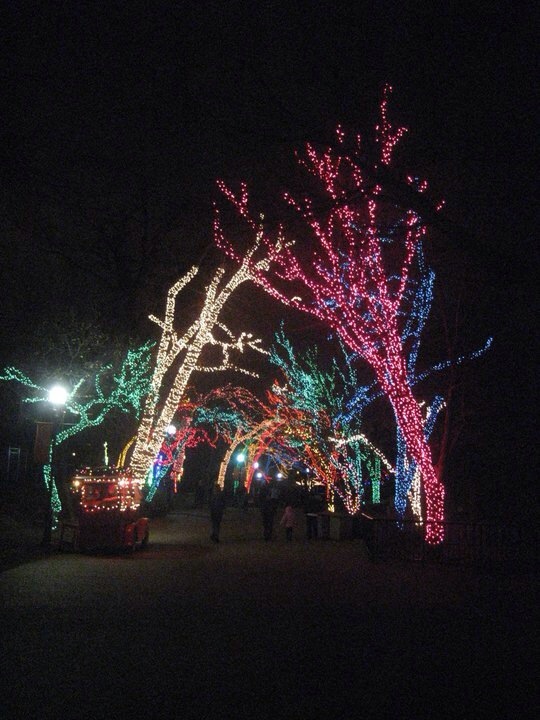 Lincoln Park Zoo Lights: A family-oriented holiday celebration, featuring luminous displays and holiday-season activities throughout zoo grounds. The lights will be on December 4-6, 11-23, 26-31 and January 1-3, 2015. 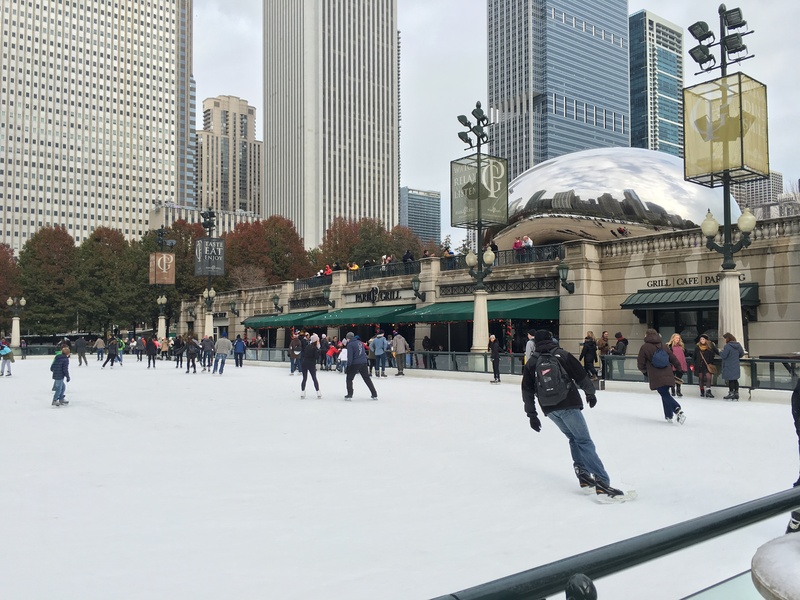 Ice Skating at Millennium Park: Who doesn’t love to ice skate in the winter? Admission is free and skate rentals are $12! You can also head over to the new Maggie Daley Park Skating Ribbon which opened last winter. The park is a quarter-mile track that will also offer free admission with $12 skate rentals as well. 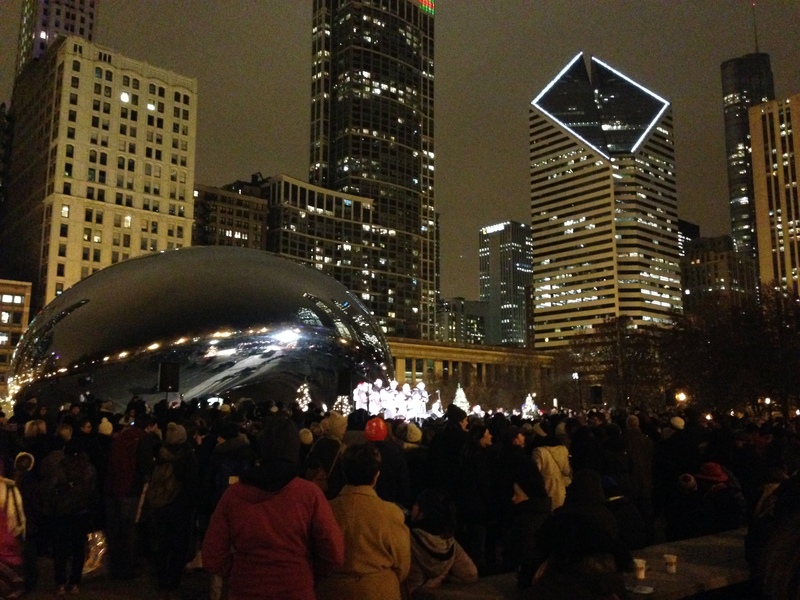 The official Chicago Christmas tree was moved to Millennium Park for the first time this year so you can see that while skating as well. Caroling at Cloud Gate: Every Friday at 6 PM, a different choir performs an hour of Christmas carols at “The Bean”. This is located right above the ice skating rink so would be a fun thing to see before/after skating. Holiday Tea at The Drake: Experience the tradition of afternoon tea while a harpist plays and carolers visit tables singing Christmas songs. For $42, this is a fun afternoon activity for a girls’ day. 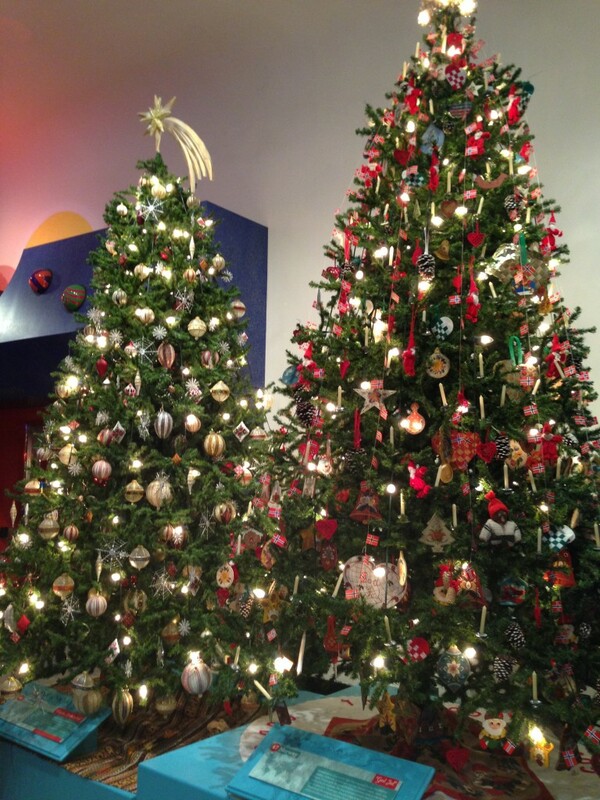 Christmas Around the World: The Museum of Science and Industry’s annual exhibit features more than 50 trees and displays to reflect different countries’ culture and holiday traditions. Admission to the museum is $18 per adult and $11 per child. This exhibit lasts from November 19, 2015 – January 3, 2016. 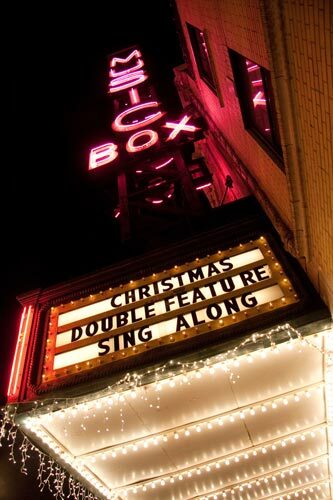 Music Box Christmas Show: Each year the Music Box Theatre shows a double feature of White Christmas and It’s a Wonderful Life with a sing along of Christmas carols between shows. For $20 you can see both features or $13 for just one. The movies will be shown December 11 – December 24, 2015. What are some of you favorite Christmas events?